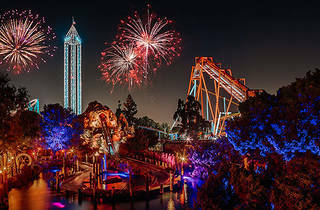 Knott’s Berry Farm goes all out during the holiday season, turning the theme park into the annual Knott's Merry Farm with holiday decorations, music and snow. 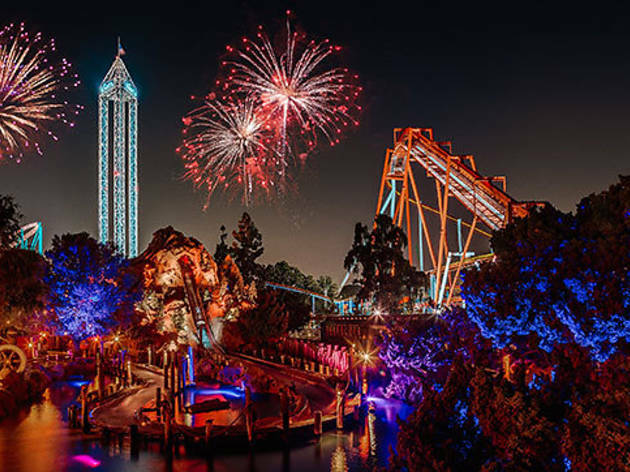 For New Year’s Eve, they take it a step further with extended hours (10am on Dec 31 to 1am on Jan 1), a countdown to midnight and fireworks. Look out for live music throughout the evening, as well as en evening buffet at Spur’s Restaurant.